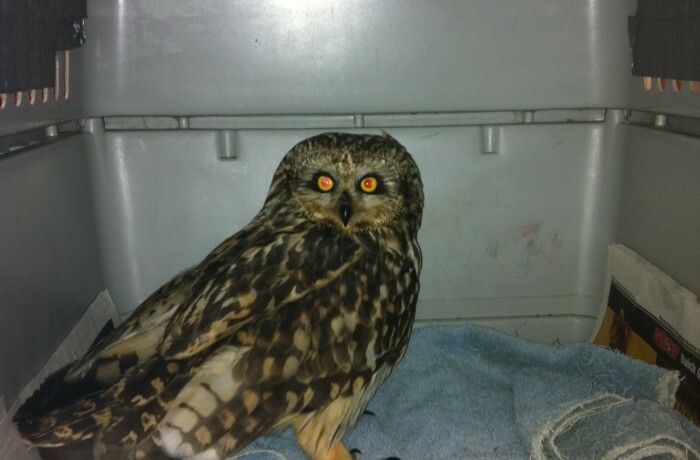 An endangered species in PA, we have treated only two Short-eared owls. My wife and i were very cheerful Chris could complete his survey from the ideas he received while using the web pages. It is now and again perplexing just to choose to be giving for free ideas that men and women could have been selling. We really acknowledge we now have the website owner to appreciate because of that. All of the explanations you made, the straightforward website menu, the relationships your site make it possible to create - it's got many spectacular, and it's really helping our son in addition to our family reason why that subject matter is awesome, which is certainly particularly mandatory. Many thanks for the whole thing! Thanks for another wonderful post. The place else may anybody get that kind of information in such an ideal approach of writing? I have a presentation next week, and I'm on the search for such info. Someone essentially lend a hand to make significantly articles I would state. This is the first time I frequented your web page and up to now? I surprised with the research you made to make this actual submit incredible. Fantastic process! I'm still learning from you, while I'm trying to achieve my goals. I absolutely love reading everything that is posted on your blog.Keep the posts coming. I enjoyed it! Hi my family member! I want to say that this article is awesome, great written and come with approximately all significant infos. I¡¦d like to look more posts like this . Thank you for each of your effort on this blog. My mom takes pleasure in doing investigation and it is easy to understand why. Most of us know all regarding the dynamic medium you give good strategies through this web blog and even inspire response from some others on that area plus my daughter has always been discovering a great deal. Have fun with the rest of the new year. You are always conducting a brilliant job. My wife and i have been quite glad that Chris could finish up his inquiry from your ideas he received out of your blog. It's not at all simplistic to simply find yourself releasing facts which the rest may have been selling. And we realize we have you to thank for that. Most of the illustrations you've made, the straightforward blog menu, the relationships you will aid to foster - it's got everything spectacular, and it is aiding our son and our family recognize that this subject is cool, which is certainly highly mandatory. Many thanks for all! Hiya very nice site!! Man .. Beautiful .. Superb .. I'll bookmark your website and take the feeds additionally¡KI'm glad to search out a lot of helpful information here in the post, we'd like develop more techniques in this regard, thank you for sharing. . . . . . I have been browsing online more than 3 hours today, yet I never found any interesting article like yours. It’s pretty worth enough for me. In my view, if all web owners and bloggers made good content as you did, the web will be much more useful than ever before. Thank you for every other magnificent post. Where else may just anyone get that type of info in such a perfect method of writing? I have a presentation next week, and I'm on the search for such information. You completed various nice points there. I did a search on the subject matter and found nearly all folks will consent with your blog. I loved as much as you'll receive carried out right here. The sketch is attractive, your authored subject matter stylish. nonetheless, you command get bought an edginess over that you wish be delivering the following. unwell unquestionably come more formerly again as exactly the same nearly a lot often inside case you shield this hike. Its like you read my mind! You appear to know a lot about this, like you wrote the book in it or something. I think that you can do with some pics to drive the message home a bit, but instead of that, this is wonderful blog. A great read. I'll definitely be back. Hiya, I'm really glad I have found this info. Nowadays bloggers publish only about gossips and net and this is really annoying. A good website with interesting content, this is what I need. Thanks for keeping this site, I'll be visiting it. Do you do newsletters? Can't find it. I think other site proprietors should take this website as an model, very clean and excellent user genial style and design, let alone the content. You're an expert in this topic! I simply wished to thank you very much once again. I am not sure what I would have handled in the absence of these basics provided by you over this area. It seemed to be a challenging situation for me personally, however , encountering a new expert mode you treated it forced me to leap with delight. I'm just grateful for this support and thus sincerely hope you realize what a great job you're carrying out training people today through the use of your webpage. Probably you haven't met any of us. You actually make it seem really easy together with your presentation however I find this matter to be really one thing which I think I might by no means understand. It sort of feels too complex and extremely wide for me. I am having a look ahead in your subsequent put up, I will try to get the hold of it! Hello there, You've done an excellent job. I’ll definitely digg it and personally recommend to my friends. I'm confident they will be benefited from this web site. I've been surfing on-line more than three hours lately, yet I never found any attention-grabbing article like yours. It¡¦s lovely price enough for me. In my view, if all webmasters and bloggers made just right content material as you probably did, the net will probably be a lot more helpful than ever before. whoah this blog is magnificent i like studying your articles. Keep up the good work! You already know, many persons are hunting round for this information, you can aid them greatly. Well I truly enjoyed studying it. This post offered by you is very useful for accurate planning. Simply desire to say your article is as astonishing. The clearness in your post is simply nice and i could assume you're an expert on this subject. Fine with your permission allow me to grab your RSS feed to keep updated with forthcoming post. Thanks a million and please keep up the rewarding work. Hiya very nice web site!! Guy .. Beautiful .. Superb .. I will bookmark your website and take the feeds also¡KI am satisfied to seek out numerous useful information right here in the post, we'd like work out extra strategies on this regard, thank you for sharing. . . . . . I loved as much as you'll receive carried out right here. The sketch is attractive, your authored subject matter stylish. nonetheless, you command get bought an nervousness over that you wish be delivering the following. unwell unquestionably come further formerly again as exactly the same nearly very often inside case you shield this hike. I would like to thank you for the efforts you have put in writing this web site. I am hoping the same high-grade blog post from you in the upcoming as well. In fact your creative writing skills has inspired me to get my own blog now. Really the blogging is spreading its wings rapidly. Your write up is a great example of it. I keep listening to the reports lecture about receiving boundless online grant applications so I have been looking around for the best site to get one. Could you advise me please, where could i find some? My spouse and i got really lucky that Michael managed to conclude his researching through the precious recommendations he obtained using your weblog. It's not at all simplistic to simply be giving out hints that people might have been selling. And we also consider we need you to thank for this. The entire explanations you have made, the straightforward website navigation, the relationships you can make it possible to promote - it's everything impressive, and it is assisting our son in addition to the family reason why the idea is awesome, which is unbelievably mandatory. Many thanks for all the pieces! It is appropriate time to make some plans for the future and it's time to be happy. I have read this post and if I could I desire to suggest you few interesting things or advice. Maybe you can write next articles referring to this article. I wish to read even more things about it! I like the helpful info you provide in your articles. I’ll bookmark your blog and check again here regularly. I'm quite sure I’ll learn lots of new stuff right here! Good luck for the next! I’m not sure where you're getting your information, but good topic. I needs to spend some time learning much more or understanding more. Thanks for great information I was looking for this info for my mission. Thank you for another informative web site. Where else could I get that type of info written in such a perfect means? I've a challenge that I am simply now working on, and I have been at the look out for such info. I think the admin of this web site is in fact working hard in favor of his site, because here every stuff is quality based stuff. Hello, Neat post. There's a problem with your web site in internet explorer, may test this¡K IE nonetheless is the market chief and a large component to other people will omit your excellent writing because of this problem. I was just looking for this information for some time. After 6 hours of continuous Googleing, at last I got it in your website. I wonder what's the lack of Google strategy that do not rank this type of informative websites in top of the list. Usually the top web sites are full of garbage. I just want to mention I'm newbie to blogging and site-building and honestly loved this web-site. Very likely I’m going to bookmark your website . You surely have impressive stories. Thanks for sharing your website. I keep listening to the news broadcast lecture about receiving free online grant applications so I have been looking around for the finest site to get one. Could you tell me please, where could i acquire some? Hey there, You've done an incredible job. I will certainly digg it and personally suggest to my friends. I am confident they'll be benefited from this site. It¡¦s truly a great and helpful piece of info. I am happy that you shared this helpful info with us. Please keep us up to date like this. Thanks for sharing. This excellent website defіnitely has all the informatіon Ι wɑnted about this subject and didn't know who to ask. Hiya, I'm really glad I've found this information. Nowadays bloggers publish only about gossips and net and this is really annoying. A good blog with exciting content, this is what I need. Thank you for keeping this site, I'll be visiting it. Do you do newsletters? Cant find it. Very efficiently written post. It will be useful to anyone who utilizes it, including yours truly :). Keep doing what you are doing - looking forward to more posts. I have been examinating out a few of your stories and i must say pretty nice stuff. I will surely bookmark your blog. Usually I don't learn post on blogs, but I wish to say that this write-up very compelled me to check out and do so! Your writing taste has been surprised me. Thanks, very great article. Hiya, I am really glad I've found this info. Today bloggers publish just about gossips and internet and this is actually frustrating. A good web site with interesting content, this is what I need. Thanks for keeping this website, I'll be visiting it. Do you do newsletters? Can not find it. Generally I don't read post on blogs, however I wish to say that this write-up very compelled me to check out and do so! Your writing taste has been amazed me. Thank you, very nice article. Thanks for sharing superb informations. Your web site is very cool. I am impressed by the details that you¡¦ve on this blog. It reveals how nicely you perceive this subject. Bookmarked this web page, will come back for extra articles. You, my friend, ROCK! I found just the information I already searched all over the place and simply couldn't come across. What a great web site. Wow, incredible weblog layout! How lengthy have you ever been running a blog for? you make running a blog look easy. The full glance of your site is excellent, let alone the content material! I precisely needed to say thanks once more. I'm not certain the things that I would have implemented without those points documented by you about such area. It absolutely was a real terrifying circumstance in my view, but noticing this specialised tactic you processed it made me to jump for joy. I am just happier for your support and then pray you are aware of an amazing job that you're accomplishing teaching the others using a blog. I am sure you've never come across any of us. Hi there I am so delighted I found your blog, I really found you by accident, while I was searching on Yahoo for something else, Nonetheless I am here now and would just like to say many thanks for a tremendous post and a all round thrilling blog (I also love the theme/design), I don’t have time to go through it all at the moment but I have saved it and also added in your RSS feeds, so when I have time I will be back to read a great deal more, Please do keep up the fantastic work. I'm still learning from you, as I'm making my way to the top as well. I definitely enjoy reading all that is written on your blog.Keep the posts coming. I liked it! Thank you for any other great post. The place else could anyone get that type of info in such a perfect manner of writing? I've a presentation next week, and I'm at the look for such info. Very efficiently written post. It will be beneficial to everyone who usess it, as well as myself. Keep doing what you are doing - i will definitely read more posts. Good web site! I truly love how it is easy on my eyes and the data are well written. I am wondering how I could be notified when a new post has been made. I've subscribed to your feed which must do the trick! Have a nice day! I happen to be commenting to let you be aware of what a superb encounter my wife's daughter experienced visiting your blog. She mastered such a lot of things, which included how it is like to possess an awesome coaching mood to make many others with ease grasp chosen problematic things. You actually surpassed readers' expected results. Many thanks for showing these practical, healthy, educational and in addition unique tips about the topic to Janet. Very efficiently written article. It will be valuable to anybody who usess it, including me. Keep up the good work - for sure i will check out more posts. Thanks for another excellent article. Where else could anybody get that type of info in such a perfect approach of writing? I've a presentation subsequent week, and I'm on the look for such information. Hi, Neat post. There is an issue together with your site in internet explorer, could check this¡K IE still is the market leader and a huge element of folks will leave out your excellent writing due to this problem. I¡¦ll right away take hold of your rss as I can not to find your e-mail subscription link or e-newsletter service. Do you've any? Kindly let me recognise so that I may just subscribe. Thanks. Very good written post. It will be supportive to anybody who employess it, including myself. Keep up the good work - looking forward to more posts. I was just searching for this information for some time. After six hours of continuous Googleing, at last I got it in your web site. I wonder what is the lack of Google strategy that don't rank this type of informative sites in top of the list. Usually the top websites are full of garbage. Wonderful goods from you, man. I have understand your stuff previous to and you're just extremely wonderful. I really like what you've acquired here, certainly like what you're stating and the way in which you say it. You make it enjoyable and you still care for to keep it sensible. I can not wait to read far more from you. This is really a terrific site. Thank you for sharing excellent informations. Your web site is very cool. I'm impressed by the details that you¡¦ve on this blog. It reveals how nicely you understand this subject. Bookmarked this web page, will come back for extra articles. You, my pal, ROCK! I found simply the information I already searched all over the place and just couldn't come across. What an ideal website. Wow, incredible weblog layout! How long have you ever been running a blog for? you make running a blog glance easy. The full look of your web site is magnificent, let alone the content material! I just wanted to construct a brief remark so as to appreciate you for the great hints you are giving at this site. My time intensive internet lookup has finally been compensated with reasonable strategies to go over with my great friends. I 'd assert that we site visitors actually are unquestionably endowed to be in a good network with many brilliant people with insightful suggestions. I feel very grateful to have used your web site and look forward to plenty of more fun minutes reading here. Thank you once more for everything. Thank you, I have recently been searching for info about this topic for a while and yours is the best I have found out till now. But, what in regards to the conclusion? Are you positive about the supply? Just wish to say your article is as amazing. The clarity in your post is simply spectacular and i can assume you're an expert on this subject. Well with your permission allow me to grab your RSS feed to keep updated with forthcoming post. Thanks a million and please keep up the rewarding work. Hiya, I am really glad I've found this info. Today bloggers publish just about gossip and net stuff and this is actually annoying. A good site with exciting content, that's what I need. Thanks for making this web-site, and I'll be visiting again. Do you do newsletters by email? Very efficiently written post. It will be helpful to everyone who usess it, including me. Keep doing what you are doing - looking forward to more posts. Great remarkable things here. I¡¦m very satisfied to see your post. Thanks a lot and i am looking forward to touch you. Will you kindly drop me a mail? Wow! This can be one particular of the most beneficial blogs We've ever arrive across on this subject. Actually Excellent. I am also a specialist in this topic therefore I can understand your hard work. I must express some appreciation to this writer for bailing me out of such a difficulty. As a result of scouting through the online world and finding recommendations which were not beneficial, I was thinking my entire life was well over. Existing devoid of the answers to the problems you have resolved by way of your main site is a critical case, as well as those that could have adversely damaged my entire career if I had not noticed your blog. Your capability and kindness in maneuvering the whole thing was crucial. I don't know what I would have done if I had not come across such a point like this. I can now relish my future. Thank you very much for your high quality and results-oriented guide. I will not hesitate to propose your blog to anyone who requires guide about this subject. I wanted to write a word to be able to express gratitude to you for the nice ways you are placing here. My time consuming internet lookup has finally been rewarded with really good knowledge to write about with my family members. I 'd say that we readers are definitely fortunate to exist in a magnificent website with many wonderful individuals with very helpful hints. I feel very much fortunate to have seen the web site and look forward to really more exciting moments reading here. Thanks once again for a lot of things. I'm commenting to let you be aware of of the excellent discovery my friend's girl encountered reading your web site. She figured out a lot of issues, not to mention what it's like to possess a great coaching mood to have the others with ease know precisely a variety of advanced subject matter. You actually surpassed her expectations. Many thanks for giving the insightful, dependable, educational as well as fun tips on this topic to Evelyn. Hey there. I found your blog by means of Google while searching for a comparable topic, your site came up. It appears to be good. I've bookmarked it in my google bookmarks to visit then. Awesome write-up. I am a regular visitor of your site and appreciate you taking the time to maintain the excellent site. I'll be a regular visitor for a long time. Hiya, I am really glad I have found this info. Today bloggers publish only about gossip and net stuff and this is actually frustrating. A good web site with exciting content, this is what I need. Thank you for making this site, and I will be visiting again. Do you do newsletters by email? Thank you so much for giving everyone remarkably splendid chance to check tips from this website. It is usually so beneficial and packed with fun for me and my office friends to visit your site a minimum of 3 times per week to study the latest tips you have. And definitely, I'm just certainly satisfied concerning the powerful opinions you give. Selected 1 tips in this article are undeniably the best we have all had. Hello there. I found your web site by the use of Google even as searching for a similar matter, your website came up. It seems great. I have bookmarked it in my google bookmarks to come back then. Hiya, I'm really glad I've found this information. Nowadays bloggers publish just about gossips and web and this is really irritating. A good site with interesting content, that's what I need. Thank you for keeping this web site, I will be visiting it. Do you do newsletters? Cant find it. This is very interesting, You are a very skilled blogger. I've joined your rss feed and look forward to seeking more of your great post. Also, I've shared your web site in my social networks! Hello very nice site!! Guy .. Beautiful .. Amazing .. I will bookmark your site and take the feeds also¡KI am glad to seek out so many helpful info here within the submit, we need work out extra techniques in this regard, thanks for sharing. . . . . . I would like to thnkx for the efforts you've put in writing this website. I'm hoping the same high-grade site post from you in the upcoming also. Actually your creative writing abilities has encouraged me to get my own website now. Actually the blogging is spreading its wings quickly. Your write up is a great example of it. You actually make it seem so easy with your presentation however I in finding this matter to be really something that I feel I'd by no means understand. It seems too complex and very huge for me. I'm having a look forward on your subsequent publish, I will attempt to get the grasp of it! I cling on to listening to the news speak about receiving free online grant applications so I have been looking around for the most excellent site to get one. Could you advise me please, where could i acquire some? wonderful issues altogether, you simply received a new reader. What could you recommend in regards to your post that you made some days ago? Any positive? I as well as my friends were reading the excellent tricks found on your site and then suddenly got a horrible suspicion I had not expressed respect to the web blog owner for those secrets. Those boys were definitely absolutely glad to learn them and already have seriously been enjoying those things. Thank you for genuinely considerably kind as well as for deciding on this form of really good subjects millions of individuals are really eager to know about. Our own honest regret for not expressing appreciation to sooner. I truly wanted to make a simple message to appreciate you for all the lovely advice you are showing at this site. My particularly long internet look up has at the end been honored with professional information to talk about with my partners. I would claim that most of us website visitors are unquestionably blessed to be in a great website with many outstanding professionals with very beneficial hints. I feel very lucky to have encountered your entire website and look forward to so many more thrilling moments reading here. Thank you again for everything. Awesome post. I am a normal visitor of your site and appreciate you taking the time to maintain the excellent site. I'll be a frequent visitor for a long time. Hello there. I discovered your site by way of Google even as looking for a similar subject, your site came up. It appears great. I have bookmarked it in my google bookmarks to visit then. Hi there. I found your blog by means of Google even as searching for a similar topic, your web site got here up. It looks good. I have bookmarked it in my google bookmarks to visit then. Hello there. I discovered your website via Google whilst looking for a similar matter, your website came up. It seems great. I've bookmarked it in my google bookmarks to visit then. Hiya, I am really glad I have found this info. Today bloggers publish just about gossip and web stuff and this is actually annoying. A good web site with exciting content, this is what I need. Thank you for making this web site, and I will be visiting again. Do you do newsletters by email? Hi there. I found your web site by means of Google even as looking for a similar subject, your site came up. It appears good. I have bookmarked it in my google bookmarks to visit then. Hello there. I discovered your website by means of Google whilst searching for a comparable subject, your web site got here up. It looks good. I've bookmarked it in my google bookmarks to come back then. Hello there, just became aware of your blog through Google, and found that it's really informative. I’m going to watch out for brussels. I’ll be grateful if you continue this in future. Lots of people will be benefited from your writing. Cheers! I’m not sure where you're getting your information, but good topic. I needs to spend some time learning much more or understanding more. Thanks for wonderful info I was looking for this info for my mission. Wow! This could be one particular of the most beneficial blogs We've ever arrive across on this subject. Basically Fantastic. I'm also a specialist in this topic therefore I can understand your effort. I keep listening to the rumor speak about receiving free online grant applications so I have been looking around for the most excellent site to get one. Could you tell me please, where could i find some? You really make it seem really easy together with your presentation but I in finding this matter to be really one thing that I believe I'd never understand. It seems too complex and extremely broad for me. I'm having a look ahead to your subsequent post, I will try to get the grasp of it! Wow, fantastic weblog layout! How lengthy have you ever been running a blog for? you make running a blog look easy. The entire look of your website is great, as neatly as the content material! Awesome post. I am a normal visitor of your website and appreciate you taking the time to maintain the excellent site. I'll be a frequent visitor for a really long time. I'm writing to let you be aware of of the terrific experience my friend's princess experienced using your blog. She discovered plenty of details, including what it is like to possess an ideal helping mood to let a number of people without difficulty know various advanced things. You undoubtedly surpassed readers' expectations. Many thanks for showing those powerful, trusted, revealing and as well as easy tips about this topic to Janet. Hiya, I'm really glad I have found this information. Nowadays bloggers publish just about gossip and internet stuff and this is actually frustrating. A good website with interesting content, that's what I need. Thanks for making this site, and I will be visiting again. Do you do newsletters by email? Hi there. I discovered your website by means of Google whilst looking for a related topic, your site came up. It appears great. I've bookmarked it in my google bookmarks to come back then. Hiya, I'm really glad I have found this information. Today bloggers publish just about gossip and web stuff and this is actually annoying. A good site with exciting content, that is what I need. Thank you for making this web site, and I'll be visiting again. Do you do newsletters by email? Hiya, I'm really glad I've found this information. Nowadays bloggers publish only about gossip and net stuff and this is really irritating. A good blog with interesting content, this is what I need. Thanks for making this web site, and I'll be visiting again. Do you do newsletters by email? Hi there. I discovered your website by the use of Google whilst searching for a related subject, your site got here up. It seems good. I've bookmarked it in my google bookmarks to visit then. Hiya, I'm really glad I've found this information. Today bloggers publish only about gossip and web stuff and this is actually annoying. A good site with exciting content, this is what I need. Thank you for making this web-site, and I will be visiting again. Do you do newsletters by email? I must show appreciation to this writer just for bailing me out of this dilemma. Because of researching throughout the search engines and getting solutions which are not powerful, I believed my life was gone. Being alive minus the solutions to the problems you have sorted out all through your main blog post is a crucial case, and the kind which could have badly affected my entire career if I hadn't noticed your blog post. Your actual expertise and kindness in playing with everything was tremendous. I am not sure what I would have done if I hadn't come upon such a solution like this. It's possible to at this point relish my future. Thanks a lot so much for the impressive and sensible guide. I will not think twice to endorse the blog to anybody who requires guide on this situation. Fantastic website. Lots of useful information here. I¡¦m sending it to a few pals ans also sharing in delicious. And naturally, thanks for your sweat! hi!,I really like your writing so so much! percentage we be in contact more approximately your post on AOL? I need an expert on this space to unravel my problem. Maybe that is you! Having a look forward to look you. fantastic points altogether, you simply gained a new reader. What might you recommend about your submit that you simply made a few days ago? Any sure? Thank you for some other informative web site. Where else may just I get that type of information written in such a perfect means? I have a mission that I'm simply now running on, and I have been at the look out for such info. Somebody necessarily lend a hand to make critically posts I would state. That is the first time I frequented your website page and so far? I surprised with the research you made to make this actual post extraordinary. Fantastic process! Normally I do not learn post on blogs, however I wish to say that this write-up very pressured me to take a look at and do it! Your writing taste has been amazed me. Thank you, quite nice article. Hiya, I am really glad I have found this info. Today bloggers publish only about gossip and internet stuff and this is actually annoying. A good website with interesting content, this is what I need. Thank you for making this site, and I'll be visiting again. Do you do newsletters by email? I would like to thnkx for the efforts you have put in writing this site. I'm hoping the same high-grade blog post from you in the upcoming as well. In fact your creative writing skills has inspired me to get my own site now. Really the blogging is spreading its wings quickly. Your write up is a great example of it. I think other site proprietors should take this web site as an model, very clean and fantastic user genial style and design, as well as the content. You're an expert in this topic! Hiya, I'm really glad I have found this info. Nowadays bloggers publish just about gossip and net stuff and this is actually irritating. A good website with exciting content, that's what I need. Thank you for making this web-site, and I'll be visiting again. Do you do newsletters by email? Fine way of explaining, and pleasant piece of writing to get facts on the topic of my presentation topic, which i am going to present in academy. Hello there. I found your website by means of Google whilst searching for a comparable matter, your web site came up. It appears great. I've bookmarked it in my google bookmarks to visit then. Very good written information. It will be helpful to anybody who employess it, as well as me. Keep up the good work - can'r wait to read more posts. Hiya, I'm really glad I have found this info. Today bloggers publish only about gossips and web and this is really frustrating. A good web site with interesting content, this is what I need. Thanks for keeping this website, I will be visiting it. Do you do newsletters? Can't find it. I’m not sure where you're getting your info, but great topic. I needs to spend some time learning more or understanding more. Thanks for excellent info I was looking for this information for my mission. Hi there. I found your blog by way of Google even as searching for a similar subject, your web site got here up. It seems good. I have bookmarked it in my google bookmarks to come back then. Hey there. I found your blog via Google at the same time as searching for a related subject, your web site got here up. It seems to be great. I've bookmarked it in my google bookmarks to visit then. Hi there. I found your website by the use of Google even as searching for a similar subject, your website got here up. It appears to be good. I have bookmarked it in my google bookmarks to come back then. Hiya, I'm really glad I've found this information. Nowadays bloggers publish just about gossip and net stuff and this is really annoying. A good web site with interesting content, this is what I need. Thank you for making this website, and I'll be visiting again. Do you do newsletters by email? Hey there. I found your blog by means of Google even as looking for a similar subject, your web site got here up. It appears to be great. I've bookmarked it in my google bookmarks to come back then. Hiya, I am really glad I have found this info. Today bloggers publish only about gossip and web stuff and this is actually irritating. A good blog with interesting content, that is what I need. Thanks for making this site, and I'll be visiting again. Do you do newsletters by email? Very well written story. It will be valuable to anybody who employess it, as well as myself. Keep doing what you are doing - looking forward to more posts. Very good written information. It will be useful to everyone who utilizes it, including me. Keep doing what you are doing - for sure i will check out more posts. My spouse and i got cheerful Ervin could finish up his basic research with the ideas he was given while using the web pages. It is now and again perplexing just to be giving away tips and tricks that many people today could have been selling. We really discover we have the website owner to be grateful to for this. The main illustrations you made, the straightforward website menu, the friendships your site assist to instill - it is many spectacular, and it's aiding our son in addition to the family reason why this subject matter is exciting, and that is tremendously indispensable. Many thanks for all the pieces! I was just seeking this info for some time. After 6 hours of continuous Googleing, finally I got it in your website. I wonder what is the lack of Google strategy that do not rank this kind of informative sites in top of the list. Generally the top web sites are full of garbage. I do trust all of the ideas you've offered for your post. They are very convincing and can definitely work. Still, the posts are very quick for starters. Could you please prolong them a little from subsequent time? Thank you for the post. Hiya, I'm really glad I've found this information. Nowadays bloggers publish just about gossip and web stuff and this is really frustrating. A good website with interesting content, that's what I need. Thank you for making this web site, and I will be visiting again. Do you do newsletters by email? I wish to express my thanks to the writer for bailing me out of such a incident. Because of surfing through the the net and getting views that were not helpful, I figured my life was over. Being alive without the presence of approaches to the difficulties you have sorted out all through your good blog post is a crucial case, as well as those that might have negatively damaged my career if I hadn't noticed the blog. Your personal training and kindness in touching all areas was helpful. I am not sure what I would have done if I had not come upon such a stuff like this. I can also at this point relish my future. Thank you very much for your specialized and sensible help. I will not hesitate to refer your web sites to any individual who would like counselling on this situation. Hey there, You've done an excellent job. I’ll definitely digg it and personally recommend to my friends. I am confident they will be benefited from this site. I like the helpful info you provide in your articles. I’ll bookmark your blog and check again here frequently. I'm quite certain I’ll learn plenty of new stuff right here! Good luck for the next! Awesome write-up. I’m a normal visitor of your web site and appreciate you taking the time to maintain the excellent site. I'll be a frequent visitor for a long time. Hiya, I am really glad I've found this info. Nowadays bloggers publish only about gossip and web stuff and this is actually frustrating. A good website with interesting content, this is what I need. Thank you for making this web-site, and I will be visiting again. Do you do newsletters by email? Hi there. I discovered your web site by the use of Google whilst looking for a related subject, your site got here up. It appears good. I've bookmarked it in my google bookmarks to come back then. Awesome post. I am a regular visitor of your blog and appreciate you taking the time to maintain the excellent site. I'll be a frequent visitor for a long time. I simply wanted to thank you very much again. I am not sure the things that I would have made to happen without the type of suggestions discussed by you regarding such area. It absolutely was a real frightening situation in my opinion, nevertheless being able to view a new expert manner you processed the issue forced me to jump over fulfillment. I'm just happier for the service and thus hope that you find out what a powerful job you were getting into training people by way of your websites. I'm certain you've never got to know all of us. Hey there. I found your blog via Google even as searching for a related matter, your web site got here up. It seems to be great. I have bookmarked it in my google bookmarks to come back then. Hiya, I am really glad I have found this information. Nowadays bloggers publish only about gossip and web stuff and this is really annoying. A good website with interesting content, that's what I need. Thank you for making this website, and I will be visiting again. Do you do newsletters by email? Hey there. I found your site by the use of Google while looking for a related matter, your website got here up. It seems good. I've bookmarked it in my google bookmarks to come back then. Hiya, I am really glad I've found this information. Today bloggers publish only about gossip and internet stuff and this is really frustrating. A good blog with exciting content, this is what I need. Thanks for making this site, and I will be visiting again. Do you do newsletters by email? Hey there. I discovered your website by way of Google even as searching for a similar topic, your website got here up. It appears great. I've bookmarked it in my google bookmarks to visit then. Hello there. I discovered your site by way of Google whilst searching for a comparable topic, your web site got here up. It appears great. I've bookmarked it in my google bookmarks to come back then. Hi there. I found your site by way of Google whilst searching for a comparable subject, your site got here up. It appears great. I've bookmarked it in my google bookmarks to visit then. Wow! This could be one particular of the most helpful blogs We've ever arrive across on this subject. Basically Wonderful. I'm also an expert in this topic so I can understand your hard work. I simply wanted to construct a brief word in order to thank you for these unique guides you are sharing here. My particularly long internet lookup has finally been compensated with good quality suggestions to talk about with my contacts. I would declare that most of us website visitors actually are very blessed to be in a really good network with many brilliant people with very helpful principles. I feel truly happy to have used your entire web site and look forward to many more exciting moments reading here. Thanks a lot once more for a lot of things. Awesome write-up. I’m a normal visitor of your website and appreciate you taking the time to maintain the excellent site. I'll be a frequent visitor for a really long time. Awesome post. I’m a normal visitor of your site and appreciate you taking the time to maintain the excellent site. I'll be a regular visitor for a long time. Hi there. I discovered your web site by way of Google at the same time as looking for a similar topic, your site got here up. It looks good. I have bookmarked it in my google bookmarks to come back then. Hiya, I'm really glad I have found this info. Today bloggers publish only about gossip and web stuff and this is really frustrating. A good blog with exciting content, that is what I need. Thanks for making this website, and I will be visiting again. Do you do newsletters by email? Hello there. I found your web site by way of Google while searching for a related topic, your website came up. It seems to be great. I've bookmarked it in my google bookmarks to visit then. Excellent post. I was checking continuously this blog and I am impressed! Extremely useful info specifically the last part :) I care for such information a lot. I was seeking this particular info for a long time. Thank you and best of luck. Nice post. I was checking constantly this blog and I'm impressed! Very helpful information specially the last part :) I care for such info much. I was seeking this particular info for a long time. Thank you and best of luck. Hiya, I am really glad I have found this information. Today bloggers publish just about gossip and internet stuff and this is really irritating. A good website with interesting content, this is what I need. Thank you for making this website, and I'll be visiting again. Do you do newsletters by email? Hiya, I am really glad I've found this information. Today bloggers publish only about gossip and web stuff and this is really frustrating. A good blog with exciting content, this is what I need. Thanks for making this web site, and I'll be visiting again. Do you do newsletters by email? Hey there. I discovered your blog via Google whilst looking for a related subject, your site got here up. It appears great. I have bookmarked it in my google bookmarks to visit then. Hiya, I am really glad I've found this information. Today bloggers publish just about gossip and internet stuff and this is really annoying. A good blog with exciting content, this is what I need. Thanks for making this site, and I will be visiting again. Do you do newsletters by email? Hey there. I discovered your website by way of Google even as looking for a similar subject, your website got here up. It appears great. I have bookmarked it in my google bookmarks to visit then. Hiya, I'm really glad I have found this info. Nowadays bloggers publish just about gossip and web stuff and this is really frustrating. A good web site with interesting content, that is what I need. Thank you for making this site, and I'll be visiting again. Do you do newsletters by email? Hiya, I'm really glad I have found this information. Today bloggers publish only about gossip and net stuff and this is actually annoying. A good blog with exciting content, that's what I need. Thank you for making this site, and I will be visiting again. Do you do newsletters by email? Hiya, I am really glad I have found this information. Nowadays bloggers publish only about gossip and net stuff and this is really frustrating. A good blog with exciting content, this is what I need. Thank you for making this web-site, and I will be visiting again. Do you do newsletters by email? Hi there. I discovered your site by the use of Google while searching for a similar topic, your site got here up. It appears to be great. I've bookmarked it in my google bookmarks to visit then. Thanks , I have just been searching for information approximately this topic for a while and yours is the greatest I've came upon till now. However, what about the bottom line? Are you positive in regards to the supply? I and my pals have been reading the nice key points located on your site and so quickly I got an awful feeling I never thanked the web blog owner for those tips. These people became for this reason warmed to see them and have pretty much been taking advantage of them. Thanks for actually being quite thoughtful as well as for getting varieties of awesome themes most people are really desperate to know about. Our own honest regret for not saying thanks to sooner. It¡¦s in reality a great and useful piece of information. I¡¦m satisfied that you simply shared this useful info with us. Please keep us up to date like this. Thank you for sharing. Hello there. I found your website via Google while searching for a similar topic, your site came up. It seems great. I've bookmarked it in my google bookmarks to visit then. It¡¦s really a nice and useful piece of info. I¡¦m glad that you just shared this helpful info with us. Please stay us up to date like this. Thank you for sharing. wonderful issues altogether, you simply won a logo new reader. What would you recommend in regards to your post that you made a few days ago? Any sure? Fantastic goods from you, man. I have understand your stuff previous to and you are just extremely magnificent. I actually like what you've acquired here, certainly like what you are saying and the way in which you say it. You make it entertaining and you still take care of to keep it smart. I can not wait to read far more from you. This is actually a wonderful web site. I think other website proprietors should take this website as an model, very clean and wonderful user genial style and design, let alone the content. You're an expert in this topic! great points altogether, you just received a logo new reader. What may you suggest in regards to your put up that you simply made some days in the past? Any positive? Hey there. I found your site by the use of Google even as looking for a comparable subject, your site got here up. It seems to be great. I've bookmarked it in my google bookmarks to come back then. Hi there. I discovered your web site via Google even as searching for a related subject, your web site got here up. It seems great. I have bookmarked it in my google bookmarks to visit then. Hi there. I discovered your web site by way of Google at the same time as searching for a related topic, your website got here up. It appears to be great. I have bookmarked it in my google bookmarks to visit then. Hiya, I am really glad I've found this info. Today bloggers publish only about gossip and net stuff and this is really irritating. A good site with exciting content, this is what I need. Thank you for making this web-site, and I'll be visiting again. Do you do newsletters by email? I am glad for commenting to let you know what a remarkable encounter my cousin's daughter went through visiting your web site. She figured out such a lot of issues, which include what it is like to have an ideal helping character to make other individuals effortlessly grasp a number of multifaceted subject areas. You undoubtedly exceeded my expected results. Thank you for rendering the useful, trustworthy, informative and also easy guidance on your topic to Sandra. Hello there. I discovered your site by the use of Google while searching for a similar subject, your website came up. It appears great. I have bookmarked it in my google bookmarks to visit then. Hiya, I'm really glad I have found this info. Nowadays bloggers publish just about gossip and internet stuff and this is actually frustrating. A good web site with exciting content, that's what I need. Thank you for making this website, and I'll be visiting again. Do you do newsletters by email? Hello there. I found your blog by way of Google while searching for a comparable subject, your website got here up. It seems good. I have bookmarked it in my google bookmarks to come back then. Great post. I was checking constantly this blog and I'm impressed! Extremely helpful info particularly the last part :) I care for such info much. I was seeking this certain information for a long time. Thank you and best of luck. Hiya, I'm really glad I have found this information. Today bloggers publish only about gossip and web stuff and this is really irritating. A good blog with interesting content, this is what I need. Thank you for making this web-site, and I will be visiting again. Do you do newsletters by email? Hey there. I found your web site by way of Google while looking for a related matter, your site got here up. It seems to be good. I've bookmarked it in my google bookmarks to visit then. Awesome post. I’m a regular visitor of your blog and appreciate you taking the time to maintain the excellent site. I'll be a regular visitor for a really long time. Hi there. I discovered your web site by the use of Google whilst looking for a similar subject, your site came up. It appears to be great. I've bookmarked it in my google bookmarks to come back then. Hello there. I discovered your web site by way of Google while looking for a related subject, your website got here up. It appears to be good. I've bookmarked it in my google bookmarks to visit then. Hiya, I'm really glad I have found this info. Today bloggers publish only about gossip and web stuff and this is actually annoying. A good blog with interesting content, this is what I need. Thank you for making this web site, and I will be visiting again. Do you do newsletters by email? Awesome write-up. I am a regular visitor of your site and appreciate you taking the time to maintain the nice site. I'll be a regular visitor for a long time. You actually make it seem so easy with your presentation but I find this matter to be actually something which I think I would never understand. It seems too complex and extremely broad for me. I'm looking forward for your next post, I will try to get the hang of it! I together with my pals were found to be checking the nice suggestions on your site and so all of a sudden got an awful feeling I had not thanked the website owner for those techniques. Most of the men were definitely as a consequence joyful to study all of them and already have simply been taking pleasure in those things. I appreciate you for simply being so helpful and then for deciding on this form of fabulous guides most people are really desirous to know about. Our honest regret for not expressing gratitude to you sooner. I just want to mention I am newbie to blogging and site-building and really loved you're page. Almost certainly I’m likely to bookmark your blog post . You amazingly come with awesome article content. Bless you for sharing with us your web-site. Hiya, I'm really glad I have found this info. Nowadays bloggers publish only about gossip and internet stuff and this is actually irritating. A good web site with exciting content, that is what I need. Thanks for making this website, and I'll be visiting again. Do you do newsletters by email? Hiya, I'm really glad I've found this info. Nowadays bloggers publish just about gossip and internet stuff and this is actually annoying. A good website with interesting content, this is what I need. Thanks for making this web-site, and I'll be visiting again. Do you do newsletters by email? Hi there. I discovered your website via Google even as searching for a comparable topic, your site got here up. It seems great. I've bookmarked it in my google bookmarks to visit then. Awesome post. I am a normal visitor of your site and appreciate you taking the time to maintain the excellent site. I'll be a regular visitor for a really long time. Hello there. I found your blog by the use of Google at the same time as searching for a comparable topic, your web site got here up. It appears good. I have bookmarked it in my google bookmarks to visit then. Hello there. I found your website by the use of Google even as looking for a similar topic, your site got here up. It seems good. I've bookmarked it in my google bookmarks to come back then. Hiya, I am really glad I have found this information. Today bloggers publish just about gossip and web stuff and this is actually frustrating. A good site with exciting content, this is what I need. Thanks for making this site, and I'll be visiting again. Do you do newsletters by email? Hiya, I'm really glad I have found this information. Today bloggers publish only about gossip and net stuff and this is really frustrating. A good website with exciting content, that is what I need. Thanks for making this web-site, and I'll be visiting again. Do you do newsletters by email? Its like you read my mind! You seem to know a lot about this, like you wrote the book in it or something. I think that you could do with a few pics to drive the message home a bit, but instead of that, this is great blog. A fantastic read. I'll definitely be back. I loved as much as you'll receive carried out right here. The sketch is tasteful, your authored material stylish. nonetheless, you command get got an impatience over that you wish be delivering the following. unwell unquestionably come more formerly again as exactly the same nearly a lot often inside case you shield this hike. I would like to thank you for the efforts you have put in writing this website. I'm hoping the same high-grade web site post from you in the upcoming also. In fact your creative writing abilities has inspired me to get my own blog now. Really the blogging is spreading its wings fast. Your write up is a great example of it. Wow, amazing weblog structure! How lengthy have you ever been running a blog for? you make running a blog glance easy. The total look of your web site is fantastic, let alone the content material! Hi there. I discovered your site by means of Google while searching for a comparable matter, your website got here up. It seems great. I have bookmarked it in my google bookmarks to visit then. Hey there. I discovered your web site by means of Google whilst looking for a comparable topic, your web site got here up. It seems to be great. I've bookmarked it in my google bookmarks to visit then. Hiya, I am really glad I've found this information. Nowadays bloggers publish only about gossip and web stuff and this is really irritating. A good blog with exciting content, this is what I need. Thanks for making this web-site, and I will be visiting again. Do you do newsletters by email? Awesome post. I’m a regular visitor of your website and appreciate you taking the time to maintain the nice site. I'll be a regular visitor for a really long time. Hey there. I found your blog by the use of Google at the same time as looking for a similar matter, your website got here up. It looks great. I have bookmarked it in my google bookmarks to come back then. Hi there. I discovered your website via Google even as looking for a similar topic, your website came up. It seems great. I've bookmarked it in my google bookmarks to come back then. Hiya, I am really glad I've found this information. Nowadays bloggers publish just about gossip and web stuff and this is actually frustrating. A good website with exciting content, this is what I need. Thanks for making this web site, and I will be visiting again. Do you do newsletters by email? Hello there. I found your website via Google even as looking for a related matter, your website came up. It seems good. I have bookmarked it in my google bookmarks to come back then. I and also my pals have been digesting the nice key points located on the website then the sudden developed an awful suspicion I never thanked the web site owner for them. My young boys were definitely consequently glad to see all of them and now have simply been enjoying these things. We appreciate you genuinely really considerate and also for opting for variety of ideal subjects most people are really wanting to be aware of. Our own honest regret for not expressing gratitude to you earlier. Hi there. I discovered your blog by means of Google even as searching for a similar subject, your web site got here up. It appears to be great. I've bookmarked it in my google bookmarks to come back then. Hi there. I found your blog via Google even as looking for a comparable topic, your site came up. It seems good. I have bookmarked it in my google bookmarks to come back then. Awesome post. I’m a normal visitor of your web site and appreciate you taking the time to maintain the nice site. I'll be a frequent visitor for a long time. Hi there. I discovered your site by means of Google whilst looking for a similar matter, your web site came up. It appears to be good. I have bookmarked it in my google bookmarks to come back then. Awesome write-up. I’m a regular visitor of your website and appreciate you taking the time to maintain the nice site. I'll be a regular visitor for a really long time. Hi there. I discovered your web site by the use of Google while searching for a related topic, your site got here up. It seems to be good. I've bookmarked it in my google bookmarks to visit then. Hiya, I'm really glad I have found this information. Nowadays bloggers publish just about gossip and web stuff and this is really annoying. A good web site with interesting content, this is what I need. Thanks for making this web site, and I'll be visiting again. Do you do newsletters by email? Hiya, I'm really glad I've found this info. Today bloggers publish only about gossip and internet stuff and this is really annoying. A good web site with interesting content, that is what I need. Thank you for making this web-site, and I will be visiting again. Do you do newsletters by email? Awesome post. I am a normal visitor of your web site and appreciate you taking the time to maintain the nice site. I'll be a frequent visitor for a really long time. Hiya, I am really glad I have found this information. Nowadays bloggers publish only about gossip and internet stuff and this is actually annoying. A good website with exciting content, that's what I need. Thanks for making this web site, and I will be visiting again. Do you do newsletters by email? Hiya, I'm really glad I have found this info. Today bloggers publish only about gossip and net stuff and this is actually irritating. A good web site with exciting content, this is what I need. Thank you for making this web site, and I will be visiting again. Do you do newsletters by email? Hiya, I am really glad I've found this info. Today bloggers publish only about gossip and net stuff and this is actually annoying. A good web site with interesting content, that is what I need. Thanks for making this site, and I'll be visiting again. Do you do newsletters by email? Hi there. I found your website by means of Google while looking for a related subject, your site came up. It seems great. I've bookmarked it in my google bookmarks to visit then. Hello there. I discovered your website by way of Google even as looking for a comparable subject, your web site got here up. It seems good. I've bookmarked it in my google bookmarks to come back then. Hey there. I discovered your blog by means of Google even as looking for a related topic, your web site got here up. It looks good. I've bookmarked it in my google bookmarks to come back then. Hiya, I am really glad I've found this information. Nowadays bloggers publish only about gossip and web stuff and this is actually annoying. A good web site with interesting content, that is what I need. Thank you for making this website, and I will be visiting again. Do you do newsletters by email? Hello there. I found your site by the use of Google whilst looking for a similar matter, your web site got here up. It looks good. I've bookmarked it in my google bookmarks to visit then. Hiya, I'm really glad I've found this info. Nowadays bloggers publish just about gossip and internet stuff and this is really irritating. A good site with exciting content, that is what I need. Thanks for making this site, and I'll be visiting again. Do you do newsletters by email? Hiya, I am really glad I have found this information. Nowadays bloggers publish only about gossip and net stuff and this is really annoying. A good site with exciting content, that's what I need. Thank you for making this site, and I will be visiting again. Do you do newsletters by email? Hiya, I'm really glad I have found this information. Today bloggers publish just about gossip and web stuff and this is really irritating. A good website with interesting content, this is what I need. Thank you for making this web site, and I will be visiting again. Do you do newsletters by email? A person necessarily lend a hand to make seriously articles I'd state. This is the first time I frequented your website page and up to now? I amazed with the analysis you made to make this particular post extraordinary. Fantastic task! I simply wanted to thank you very much yet again. I'm not certain what I would have implemented without the entire ideas contributed by you about my area of interest. It was actually a challenging circumstance for me, nevertheless looking at a new expert way you handled that made me to weep with fulfillment. Now i am grateful for this information and in addition believe you really know what a powerful job you were undertaking training most people using your websites. I am certain you haven't encountered any of us. Thank you for some other informative web site. Where else could I get that kind of information written in such an ideal way? I have a undertaking that I am simply now running on, and I have been at the look out for such info. Hello there. I found your website by way of Google while searching for a related subject, your web site came up. It appears good. I've bookmarked it in my google bookmarks to come back then. Hello there. I found your blog by way of Google even as looking for a comparable subject, your site got here up. It appears great. I've bookmarked it in my google bookmarks to visit then. Hi there. I discovered your website by the use of Google while searching for a comparable matter, your website came up. It seems good. I have bookmarked it in my google bookmarks to come back then. Hiya, I am really glad I have found this info. Nowadays bloggers publish only about gossip and internet stuff and this is actually annoying. A good web site with exciting content, that is what I need. Thank you for making this web-site, and I'll be visiting again. Do you do newsletters by email? Hiya, I'm really glad I've found this information. Today bloggers publish just about gossip and web stuff and this is really irritating. A good site with exciting content, this is what I need. Thank you for making this web-site, and I'll be visiting again. Do you do newsletters by email? Pretty c post. I just stumbled upon your blog and wanted to say that I have really enjoyed reading your blog posts. Any way I'll be subscribing to your feed and I hope you post again soon. Big thanks for the useful info. Looking forward to examining more. Good post. Actually thanks! Hold writing. I am therefore happy for your blog. Actually many thanks! Really Cool. I truly loved your report post. Thanks Again. Really Great. Awesome write-up. I am a normal visitor of your website and appreciate you taking the time to maintain the excellent site. I'll be a frequent visitor for a long time. Hiya, I'm really glad I've found this information. Nowadays bloggers publish just about gossip and web stuff and this is really irritating. A good website with exciting content, that is what I need. Thank you for making this web-site, and I'll be visiting again. Do you do newsletters by email? Hi there. I discovered your site by way of Google whilst looking for a related topic, your website came up. It looks great. I have bookmarked it in my google bookmarks to come back then. Hiya, I'm really glad I have found this information. Today bloggers publish only about gossip and net stuff and this is really frustrating. A good website with interesting content, this is what I need. Thanks for making this web site, and I will be visiting again. Do you do newsletters by email? Hey there. I discovered your site by way of Google even as searching for a similar topic, your site came up. It appears to be great. I've bookmarked it in my google bookmarks to come back then. Hiya, I'm really glad I have found this information. Nowadays bloggers publish only about gossip and internet stuff and this is really annoying. A good web site with interesting content, this is what I need. Thanks for making this web-site, and I will be visiting again. Do you do newsletters by email? Hi there. I discovered your blog by means of Google even as looking for a related subject, your site came up. It appears good. I've bookmarked it in my google bookmarks to visit then. Hi there. I discovered your website by the use of Google even as looking for a comparable subject, your web site came up. It seems to be great. I've bookmarked it in my google bookmarks to come back then. Hiya, I am really glad I've found this information. Today bloggers publish only about gossip and web stuff and this is actually annoying. A good blog with exciting content, that's what I need. Thanks for making this site, and I'll be visiting again. Do you do newsletters by email? Hello there. I discovered your site by way of Google while looking for a similar matter, your website got here up. It seems great. I have bookmarked it in my google bookmarks to come back then. Awesome write-up. I’m a regular visitor of your blog and appreciate you taking the time to maintain the nice site. I'll be a frequent visitor for a really long time. Hiya, I'm really glad I've found this information. Today bloggers publish only about gossip and net stuff and this is actually irritating. A good web site with exciting content, this is what I need. Thanks for making this web site, and I will be visiting again. Do you do newsletters by email? Hey there. I found your website by the use of Google whilst looking for a related subject, your web site got here up. It appears good. I have bookmarked it in my google bookmarks to visit then. Hello there. I found your site by means of Google even as searching for a similar topic, your website came up. It appears to be good. I have bookmarked it in my google bookmarks to visit then. Hiya, I'm really glad I have found this information. Today bloggers publish only about gossip and internet stuff and this is actually frustrating. A good web site with interesting content, this is what I need. Thanks for making this web site, and I'll be visiting again. Do you do newsletters by email? Hello there. I found your site via Google whilst looking for a related subject, your website came up. It seems to be good. I have bookmarked it in my google bookmarks to come back then. Awesome write-up. I am a regular visitor of your web site and appreciate you taking the time to maintain the nice site. I'll be a frequent visitor for a long time. Hiya, I'm really glad I've found this information. Today bloggers publish just about gossip and web stuff and this is actually annoying. A good web site with interesting content, that is what I need. Thank you for making this site, and I will be visiting again. Do you do newsletters by email? Hiya, I'm really glad I have found this information. Nowadays bloggers publish only about gossip and web stuff and this is really frustrating. A good site with exciting content, that's what I need. Thank you for making this web-site, and I will be visiting again. Do you do newsletters by email? Hi there. I found your site via Google even as looking for a similar subject, your website came up. It appears great. I have bookmarked it in my google bookmarks to come back then. Hiya, I am really glad I have found this information. Nowadays bloggers publish just about gossip and net stuff and this is actually frustrating. A good website with interesting content, that's what I need. Thank you for making this site, and I will be visiting again. Do you do newsletters by email? Hiya, I'm really glad I have found this information. Today bloggers publish only about gossip and web stuff and this is really irritating. A good blog with exciting content, that's what I need. Thank you for making this web-site, and I will be visiting again. Do you do newsletters by email? Hiya, I'm really glad I've found this information. Nowadays bloggers publish only about gossip and net stuff and this is actually irritating. A good web site with interesting content, this is what I need. Thanks for making this web-site, and I'll be visiting again. Do you do newsletters by email? Hiya, I am really glad I have found this information. Today bloggers publish just about gossip and web stuff and this is actually irritating. A good website with exciting content, this is what I need. Thanks for making this site, and I'll be visiting again. Do you do newsletters by email? Hello there. I found your blog by the use of Google even as looking for a similar topic, your website came up. It seems to be good. I have bookmarked it in my google bookmarks to come back then. Hi there. I discovered your website via Google whilst looking for a comparable matter, your site came up. It appears to be good. I've bookmarked it in my google bookmarks to visit then. Awesome post. I’m a normal visitor of your web site and appreciate you taking the time to maintain the excellent site. I'll be a frequent visitor for a really long time. Hiya, I'm really glad I have found this information. Today bloggers publish just about gossip and internet stuff and this is really irritating. A good website with interesting content, this is what I need. Thank you for making this website, and I'll be visiting again. Do you do newsletters by email? Hiya, I am really glad I've found this info. Nowadays bloggers publish just about gossip and net stuff and this is actually frustrating. A good blog with exciting content, that's what I need. Thank you for making this web-site, and I will be visiting again. Do you do newsletters by email? Awesome write-up. I’m a normal visitor of your blog and appreciate you taking the time to maintain the nice site. I'll be a regular visitor for a long time. Hi there. I discovered your web site by the use of Google whilst looking for a related matter, your web site came up. It seems to be good. I've bookmarked it in my google bookmarks to visit then. Hiya, I am really glad I've found this information. Today bloggers publish just about gossip and net stuff and this is really irritating. A good blog with exciting content, this is what I need. Thanks for making this web-site, and I will be visiting again. Do you do newsletters by email? Hi there. I found your blog by means of Google while looking for a related topic, your web site came up. It looks good. I have bookmarked it in my google bookmarks to come back then. I do trust all the concepts you've presented in your post. They're very convincing and will certainly work. Nonetheless, the posts are very short for beginners. May just you please prolong them a little from next time? Thank you for the post. Hiya, I am really glad I've found this information. Nowadays bloggers publish only about gossip and net stuff and this is actually irritating. A good website with interesting content, this is what I need. Thanks for making this site, and I'll be visiting again. Do you do newsletters by email? Hiya, I am really glad I've found this information. Today bloggers publish just about gossip and net stuff and this is really frustrating. A good site with interesting content, that's what I need. Thank you for making this site, and I'll be visiting again. Do you do newsletters by email? Hiya, I'm really glad I have found this information. Nowadays bloggers publish only about gossip and net stuff and this is really frustrating. A good website with exciting content, this is what I need. Thank you for making this site, and I will be visiting again. Do you do newsletters by email? Hello there. I discovered your website via Google at the same time as searching for a similar topic, your site came up. It seems to be good. I have bookmarked it in my google bookmarks to come back then. Hi there. I discovered your blog via Google at the same time as looking for a comparable matter, your website got here up. It appears to be good. I have bookmarked it in my google bookmarks to come back then. Hiya, I'm really glad I have found this information. Today bloggers publish just about gossip and net stuff and this is actually frustrating. A good blog with exciting content, this is what I need. Thanks for making this web-site, and I will be visiting again. Do you do newsletters by email? Hello there. I found your website by the use of Google at the same time as looking for a similar subject, your website got here up. It appears to be good. I've bookmarked it in my google bookmarks to come back then. Hiya, I am really glad I've found this information. Today bloggers publish only about gossip and net stuff and this is really annoying. A good blog with interesting content, this is what I need. Thanks for making this website, and I'll be visiting again. Do you do newsletters by email? This is actually appealing, You’re a significantly seasoned author. I have joined with your feed plus expect witnessing the very good write-ups. And additionally, We’ve shared your web blog inside our social networking sites. Hiya, I'm really glad I have found this information. Today bloggers publish just about gossip and net stuff and this is really frustrating. A good blog with interesting content, this is what I need. Thanks for making this website, and I'll be visiting again. Do you do newsletters by email? Hey there. I discovered your blog via Google whilst searching for a similar subject, your site got here up. It seems to be great. I have bookmarked it in my google bookmarks to visit then. Hiya, I'm really glad I've found this information. Nowadays bloggers publish just about gossip and internet stuff and this is really irritating. A good blog with interesting content, that's what I need. Thanks for making this website, and I'll be visiting again. Do you do newsletters by email? Hiya, I'm really glad I have found this information. Today bloggers publish only about gossip and web stuff and this is actually annoying. A good site with exciting content, this is what I need. Thanks for making this web-site, and I'll be visiting again. Do you do newsletters by email? Hello, i think that i saw you visited my web site so i came to “return the favor”.I'm trying to find things to enhance my site!I suppose its ok to use some of your ideas!! I'm just writing to make you understand of the perfect discovery my wife's princess obtained using your web site. She came to understand lots of things, not to mention how it is like to have a great helping heart to get certain people very easily grasp various advanced topics. You really surpassed our own desires. Many thanks for rendering such interesting, safe, edifying and even cool guidance on your topic to Ethel. Hiya, I am really glad I have found this info. Today bloggers publish only about gossip and internet stuff and this is really irritating. A good blog with interesting content, this is what I need. Thank you for making this web site, and I will be visiting again. Do you do newsletters by email? Awesome post. I’m a regular visitor of your web site and appreciate you taking the time to maintain the excellent site. I'll be a regular visitor for a long time. Hiya, I am really glad I've found this info. Nowadays bloggers publish just about gossip and net stuff and this is actually frustrating. A good web site with exciting content, this is what I need. Thank you for making this site, and I will be visiting again. Do you do newsletters by email? Hey there. I found your website via Google even as looking for a comparable subject, your site got here up. It appears good. I've bookmarked it in my google bookmarks to visit then. Hello there. I discovered your blog by means of Google at the same time as looking for a related matter, your site got here up. It seems great. I have bookmarked it in my google bookmarks to visit then. Hiya, I'm really glad I have found this info. Today bloggers publish just about gossip and web stuff and this is really annoying. A good site with exciting content, that's what I need. Thank you for making this web-site, and I will be visiting again. Do you do newsletters by email? Hey there. I discovered your blog by means of Google even as looking for a related topic, your website came up. It appears to be great. I have bookmarked it in my google bookmarks to come back then. Awesome write-up. I’m a normal visitor of your blog and appreciate you taking the time to maintain the nice site. I'll be a frequent visitor for a really long time. I want to be able to forward Mashable's or Engadgets, or Techcrunch's blog post titles to my blog. Just the titles, not the actually blog part. Is this in any way possible?. Hey there. I found your site by means of Google even as looking for a comparable subject, your website came up. It seems to be good. I've bookmarked it in my google bookmarks to visit then. Hiya, I'm really glad I have found this information. Nowadays bloggers publish only about gossip and internet stuff and this is actually annoying. A good web site with exciting content, that's what I need. Thank you for making this website, and I will be visiting again. Do you do newsletters by email? Hi there. I discovered your site by the use of Google even as looking for a similar subject, your web site got here up. It appears to be good. I've bookmarked it in my google bookmarks to visit then. Awesome post. I am a regular visitor of your web site and appreciate you taking the time to maintain the excellent site. I'll be a frequent visitor for a really long time. Hiya, I'm really glad I have found this information. Today bloggers publish only about gossip and internet stuff and this is really annoying. A good blog with exciting content, that's what I need. Thank you for making this website, and I'll be visiting again. Do you do newsletters by email? Hello there. I discovered your blog by way of Google at the same time as looking for a comparable subject, your website came up. It appears to be good. I have bookmarked it in my google bookmarks to visit then. Hello there. I found your site by way of Google while searching for a similar subject, your site got here up. It appears good. I've bookmarked it in my google bookmarks to visit then. Hello there. I discovered your website via Google while searching for a related topic, your site got here up. It appears to be great. I've bookmarked it in my google bookmarks to come back then. Hi there. I found your website by means of Google while looking for a related subject, your web site came up. It appears great. I have bookmarked it in my google bookmarks to come back then. Hi there. I discovered your web site via Google whilst looking for a comparable subject, your web site came up. It seems to be great. I have bookmarked it in my google bookmarks to visit then. Hi there. I found your website by way of Google at the same time as searching for a comparable subject, your site came up. It looks good. I have bookmarked it in my google bookmarks to visit then. Hiya, I'm really glad I have found this info. Nowadays bloggers publish just about gossip and web stuff and this is really irritating. A good blog with interesting content, that's what I need. Thank you for making this site, and I'll be visiting again. Do you do newsletters by email? Hiya, I am really glad I have found this information. Today bloggers publish only about gossip and internet stuff and this is really irritating. A good site with exciting content, this is what I need. Thanks for making this web site, and I will be visiting again. Do you do newsletters by email? Hiya, I'm really glad I have found this info. Nowadays bloggers publish only about gossip and net stuff and this is really irritating. A good web site with exciting content, that's what I need. Thank you for making this site, and I will be visiting again. Do you do newsletters by email? You could definitely see your expertise in the paintings you write. The arena hopes for more passionate writers like you who are not afraid to mention how they believe. Always follow your heart. "Until you've lost your reputation, you never realize what a burden it was." by Margaret Mitchell. Awesome write-up. I am a regular visitor of your blog and appreciate you taking the time to maintain the nice site. I'll be a frequent visitor for a really long time. Hi there. I discovered your blog by the use of Google at the same time as searching for a comparable matter, your website got here up. It appears to be good. I've bookmarked it in my google bookmarks to come back then. Hiya, I am really glad I have found this info. Nowadays bloggers publish only about gossip and web stuff and this is really frustrating. A good web site with exciting content, that is what I need. Thank you for making this website, and I'll be visiting again. Do you do newsletters by email? Hiya, I'm really glad I have found this information. Nowadays bloggers publish just about gossip and net stuff and this is really frustrating. A good blog with interesting content, this is what I need. Thanks for making this site, and I will be visiting again. Do you do newsletters by email? Hi there. I found your blog by the use of Google at the same time as looking for a similar topic, your site got here up. It appears good. I've bookmarked it in my google bookmarks to visit then. Hi there. I discovered your site via Google while searching for a similar topic, your website came up. It appears to be great. I have bookmarked it in my google bookmarks to come back then. Hello there. I found your website by means of Google whilst searching for a related topic, your site got here up. It appears to be great. I have bookmarked it in my google bookmarks to visit then. Awesome write-up. I’m a regular visitor of your web site and appreciate you taking the time to maintain the nice site. I'll be a regular visitor for a long time. Hey there. I discovered your site by the use of Google at the same time as searching for a similar matter, your web site came up. It seems to be great. I've bookmarked it in my google bookmarks to visit then. Awesome write-up. I’m a normal visitor of your blog and appreciate you taking the time to maintain the excellent site. I'll be a frequent visitor for a long time. Hey there. I found your web site via Google whilst looking for a similar matter, your website got here up. It looks great. I have bookmarked it in my google bookmarks to come back then. Hi there. I found your website via Google at the same time as looking for a similar subject, your web site got here up. It seems good. I have bookmarked it in my google bookmarks to come back then. Hi there. I discovered your blog via Google whilst searching for a related subject, your web site came up. It looks good. I've bookmarked it in my google bookmarks to visit then. I was just looking for this info for some time. After 6 hours of continuous Googleing, finally I got it in your web site. I wonder what's the lack of Google strategy that do not rank this kind of informative websites in top of the list. Usually the top sites are full of garbage. whoah this weblog is magnificent i love reading your posts. Stay up the great paintings! You understand, a lot of individuals are searching around for this info, you can aid them greatly. Awesome write-up. I’m a regular visitor of your web site and appreciate you taking the time to maintain the excellent site. I'll be a frequent visitor for a long time. Hiya, I'm really glad I've found this information. Nowadays bloggers publish just about gossip and net stuff and this is actually frustrating. A good site with interesting content, this is what I need. Thanks for making this web site, and I will be visiting again. Do you do newsletters by email? Hiya, I'm really glad I have found this information. Nowadays bloggers publish only about gossip and web stuff and this is really irritating. A good blog with exciting content, that is what I need. Thanks for making this web-site, and I will be visiting again. Do you do newsletters by email? Hiya, I am really glad I have found this information. Nowadays bloggers publish just about gossip and internet stuff and this is really irritating. A good site with exciting content, that is what I need. Thanks for making this website, and I'll be visiting again. Do you do newsletters by email? Hi there. I discovered your blog by means of Google at the same time as looking for a similar topic, your site came up. It seems to be good. I've bookmarked it in my google bookmarks to come back then. Hey there. I discovered your website by means of Google while looking for a similar subject, your site got here up. It appears good. I have bookmarked it in my google bookmarks to visit then. Hiya, I'm really glad I've found this information. Nowadays bloggers publish only about gossip and web stuff and this is really irritating. A good website with exciting content, that is what I need. Thanks for making this web-site, and I will be visiting again. Do you do newsletters by email? Hey there. I found your website by the use of Google whilst searching for a comparable subject, your web site got here up. It seems good. I have bookmarked it in my google bookmarks to visit then. Hiya, I am really glad I've found this information. Today bloggers publish only about gossip and internet stuff and this is actually frustrating. A good site with exciting content, that is what I need. Thank you for making this site, and I will be visiting again. Do you do newsletters by email? Hello there. I found your web site by way of Google at the same time as searching for a similar matter, your web site got here up. It looks good. I have bookmarked it in my google bookmarks to visit then. Hiya, I'm really glad I have found this information. Today bloggers publish just about gossip and net stuff and this is really irritating. A good blog with exciting content, this is what I need. Thank you for making this web site, and I'll be visiting again. Do you do newsletters by email? Hiya, I'm really glad I have found this info. Nowadays bloggers publish just about gossip and net stuff and this is actually irritating. A good site with interesting content, that's what I need. Thanks for making this web site, and I'll be visiting again. Do you do newsletters by email? Hey there. I found your site by means of Google at the same time as looking for a related topic, your site came up. It appears good. I have bookmarked it in my google bookmarks to visit then. Hi there. I discovered your web site by the use of Google even as searching for a comparable subject, your web site came up. It seems to be good. I've bookmarked it in my google bookmarks to visit then. Hey there. I discovered your web site by means of Google even as searching for a comparable subject, your web site came up. It looks good. I've bookmarked it in my google bookmarks to come back then. Hello there. I found your website by way of Google even as looking for a comparable subject, your website got here up. It appears to be good. I have bookmarked it in my google bookmarks to come back then. Hey there. I discovered your site by the use of Google even as searching for a related matter, your web site came up. It appears to be great. I have bookmarked it in my google bookmarks to visit then. Hiya, I am really glad I've found this information. Nowadays bloggers publish only about gossip and internet stuff and this is really annoying. A good site with exciting content, that is what I need. Thank you for making this web-site, and I'll be visiting again. Do you do newsletters by email? Hi there. I found your site by way of Google even as looking for a related topic, your website came up. It appears to be great. I've bookmarked it in my google bookmarks to come back then. Hey there. I found your website by way of Google at the same time as searching for a related topic, your web site came up. It appears to be good. I've bookmarked it in my google bookmarks to visit then. Hiya, I am really glad I have found this info. Nowadays bloggers publish just about gossip and web stuff and this is actually frustrating. A good web site with interesting content, this is what I need. Thanks for making this web-site, and I'll be visiting again. Do you do newsletters by email? Hiya, I'm really glad I have found this information. Nowadays bloggers publish only about gossip and internet stuff and this is really annoying. A good web site with interesting content, this is what I need. Thank you for making this web-site, and I will be visiting again. Do you do newsletters by email? Hi there. I found your blog by way of Google whilst looking for a related subject, your site got here up. It seems to be good. I've bookmarked it in my google bookmarks to come back then. Hiya, I'm really glad I have found this info. Today bloggers publish just about gossip and web stuff and this is really frustrating. A good website with exciting content, that is what I need. Thank you for making this site, and I'll be visiting again. Do you do newsletters by email? Hey there. I discovered your blog by means of Google even as searching for a similar subject, your website came up. It seems great. I've bookmarked it in my google bookmarks to come back then. Hiya, I'm really glad I've found this info. Today bloggers publish just about gossip and web stuff and this is actually frustrating. A good site with exciting content, that is what I need. Thanks for making this site, and I'll be visiting again. Do you do newsletters by email? Hiya, I am really glad I've found this information. Nowadays bloggers publish only about gossip and web stuff and this is actually frustrating. A good blog with exciting content, that's what I need. Thank you for making this web-site, and I'll be visiting again. Do you do newsletters by email? Hiya, I'm really glad I've found this info. Today bloggers publish just about gossip and net stuff and this is really annoying. A good website with exciting content, that's what I need. Thank you for making this website, and I will be visiting again. Do you do newsletters by email? Hello there. I found your site by the use of Google at the same time as searching for a similar subject, your web site got here up. It looks great. I've bookmarked it in my google bookmarks to visit then. Hiya, I am really glad I have found this info. Today bloggers publish just about gossip and net stuff and this is actually frustrating. A good web site with interesting content, that is what I need. Thanks for making this site, and I will be visiting again. Do you do newsletters by email? Hey there. I discovered your web site by means of Google while looking for a related topic, your web site got here up. It appears to be good. I've bookmarked it in my google bookmarks to visit then. Hiya, I am really glad I have found this info. Nowadays bloggers publish just about gossip and web stuff and this is really annoying. A good website with interesting content, this is what I need. Thanks for making this web-site, and I will be visiting again. Do you do newsletters by email? Hiya, I'm really glad I've found this information. Nowadays bloggers publish just about gossip and net stuff and this is actually irritating. A good website with exciting content, this is what I need. Thank you for making this website, and I'll be visiting again. Do you do newsletters by email? hello there and thank you for your information – I have definitely picked up anything new from right here. I did however expertise a few technical points using this site, since I experienced to reload the website a lot of times previous to I could get it to load correctly. I had been wondering if your web host is OK? Not that I'm complaining, but sluggish loading instances times will sometimes affect your placement in google and could damage your high-quality score if advertising and marketing with Adwords. Well I am adding this RSS to my e-mail and could look out for a lot more of your respective interesting content. Ensure that you update this again very soon.. Thanks for some other informative site. The place else may just I get that kind of information written in such a perfect method? I've a mission that I am simply now running on, and I have been on the look out for such information. Hello there. I discovered your site by means of Google even as looking for a similar topic, your website got here up. It seems to be great. I have bookmarked it in my google bookmarks to visit then. Hiya, I'm really glad I have found this info. Nowadays bloggers publish just about gossip and web stuff and this is actually irritating. A good blog with exciting content, that's what I need. Thanks for making this site, and I'll be visiting again. Do you do newsletters by email? Hiya, I'm really glad I have found this information. Today bloggers publish just about gossip and web stuff and this is really irritating. A good website with interesting content, that is what I need. Thank you for making this web site, and I will be visiting again. Do you do newsletters by email? Hiya, I am really glad I have found this info. Today bloggers publish just about gossip and net stuff and this is really annoying. A good website with exciting content, this is what I need. Thanks for making this site, and I'll be visiting again. Do you do newsletters by email? Hey there. I discovered your site via Google whilst searching for a similar topic, your web site got here up. It seems great. I have bookmarked it in my google bookmarks to come back then. What blog sites do you read for information on the candidates? Hiya, I'm really glad I have found this information. Today bloggers publish only about gossip and internet stuff and this is actually annoying. A good website with interesting content, that is what I need. Thanks for making this web site, and I will be visiting again. Do you do newsletters by email? Hello there. I discovered your web site by the use of Google even as searching for a comparable subject, your web site got here up. It seems good. I've bookmarked it in my google bookmarks to visit then. Hiya, I'm really glad I have found this information. Nowadays bloggers publish just about gossip and net stuff and this is really annoying. A good web site with interesting content, this is what I need. Thanks for making this web site, and I will be visiting again. Do you do newsletters by email? Hiya, I am really glad I've found this information. Today bloggers publish only about gossip and net stuff and this is actually irritating. A good site with exciting content, that is what I need. Thank you for making this site, and I will be visiting again. Do you do newsletters by email? Awesome post. I am a normal visitor of your blog and appreciate you taking the time to maintain the nice site. I'll be a frequent visitor for a really long time. Hiya, I'm really glad I've found this information. Today bloggers publish only about gossip and internet stuff and this is really frustrating. A good website with interesting content, this is what I need. Thank you for making this web-site, and I'll be visiting again. Do you do newsletters by email? On my close friend's blogs they have actually added me on their blog site rolls, however mine constantly rests at the bottom of the listing and also does not listing when I publish like it does for others. Is this a setting that I require to alter or is this a selection that they have made?. Hi there. I discovered your web site via Google even as looking for a comparable matter, your site came up. It seems to be great. I've bookmarked it in my google bookmarks to visit then. Hi there. I discovered your site via Google while searching for a related topic, your website came up. It appears to be great. I have bookmarked it in my google bookmarks to come back then. Hiya, I am really glad I have found this information. Nowadays bloggers publish only about gossip and internet stuff and this is really irritating. A good site with exciting content, that is what I need. Thank you for making this site, and I'll be visiting again. Do you do newsletters by email? Hiya, I am really glad I've found this info. Today bloggers publish only about gossip and net stuff and this is really irritating. A good website with exciting content, that's what I need. Thanks for making this website, and I'll be visiting again. Do you do newsletters by email? Awesome post. I’m a regular visitor of your web site and appreciate you taking the time to maintain the nice site. I'll be a regular visitor for a long time. Hey there. I discovered your site via Google at the same time as looking for a comparable topic, your site came up. It looks good. I've bookmarked it in my google bookmarks to visit then. Hiya, I'm really glad I have found this information. Nowadays bloggers publish just about gossip and net stuff and this is actually irritating. A good website with interesting content, that is what I need. Thank you for making this site, and I'll be visiting again. Do you do newsletters by email? Hiya, I'm really glad I have found this info. Nowadays bloggers publish just about gossip and net stuff and this is really frustrating. A good site with exciting content, this is what I need. Thank you for making this web-site, and I'll be visiting again. Do you do newsletters by email? Hi there. I found your site by the use of Google while looking for a similar subject, your website came up. It looks great. I've bookmarked it in my google bookmarks to visit then. Hiya, I am really glad I have found this info. Nowadays bloggers publish only about gossip and web stuff and this is really annoying. A good blog with exciting content, that's what I need. Thank you for making this web-site, and I will be visiting again. Do you do newsletters by email? Hi there. I found your website by the use of Google whilst looking for a comparable topic, your website came up. It appears great. I have bookmarked it in my google bookmarks to come back then. Hello there. I found your blog by the use of Google even as searching for a similar matter, your website came up. It appears to be great. I have bookmarked it in my google bookmarks to come back then. Hiya, I'm really glad I have found this information. Nowadays bloggers publish only about gossip and web stuff and this is really annoying. A good website with exciting content, this is what I need. Thank you for making this website, and I'll be visiting again. Do you do newsletters by email? Hiya, I am really glad I've found this information. Nowadays bloggers publish just about gossip and web stuff and this is actually frustrating. A good website with exciting content, this is what I need. Thanks for making this site, and I'll be visiting again. Do you do newsletters by email? Hiya, I'm really glad I've found this information. Nowadays bloggers publish just about gossip and web stuff and this is really irritating. A good blog with exciting content, this is what I need. Thank you for making this website, and I will be visiting again. Do you do newsletters by email? Awesome post. I’m a normal visitor of your blog and appreciate you taking the time to maintain the excellent site. I'll be a regular visitor for a long time. Hiya, I am really glad I have found this info. Nowadays bloggers publish just about gossip and net stuff and this is actually irritating. A good website with exciting content, that's what I need. Thanks for making this site, and I will be visiting again. Do you do newsletters by email? Hiya, I am really glad I've found this info. Nowadays bloggers publish just about gossip and net stuff and this is really annoying. A good website with exciting content, that's what I need. Thank you for making this web site, and I will be visiting again. Do you do newsletters by email? I¡¦ve learn several good stuff here. Certainly value bookmarking for revisiting. I wonder how a lot attempt you set to make such a fantastic informative web site. You really make it seem really easy along with your presentation but I to find this matter to be actually one thing which I believe I'd never understand. It kind of feels too complicated and very large for me. I am taking a look forward in your next submit, I will attempt to get the dangle of it! Hiya, I'm really glad I have found this information. Nowadays bloggers publish just about gossip and net stuff and this is really frustrating. A good blog with exciting content, that's what I need. Thanks for making this site, and I will be visiting again. Do you do newsletters by email? Hello there. I found your site by the use of Google while searching for a related subject, your web site got here up. It seems great. I have bookmarked it in my google bookmarks to come back then. Hiya, I am really glad I've found this information. Nowadays bloggers publish just about gossip and web stuff and this is actually frustrating. A good blog with exciting content, this is what I need. Thank you for making this site, and I will be visiting again. Do you do newsletters by email? Hiya, I'm really glad I've found this info. Nowadays bloggers publish just about gossip and internet stuff and this is actually annoying. A good web site with exciting content, this is what I need. Thank you for making this site, and I will be visiting again. Do you do newsletters by email? Hiya, I'm really glad I've found this info. Today bloggers publish just about gossip and net stuff and this is actually annoying. A good site with exciting content, this is what I need. Thank you for making this web-site, and I'll be visiting again. Do you do newsletters by email? Hiya, I'm really glad I've found this information. Nowadays bloggers publish just about gossip and internet stuff and this is really frustrating. A good website with interesting content, that is what I need. Thank you for making this web-site, and I will be visiting again. Do you do newsletters by email? 14RuoG Thanks so much for the blog article.Really looking forward to read more. Great. Hiya, I am really glad I have found this info. Today bloggers publish just about gossip and web stuff and this is really irritating. A good site with interesting content, this is what I need. Thanks for making this web site, and I'll be visiting again. Do you do newsletters by email? Hiya, I am really glad I've found this information. Nowadays bloggers publish only about gossip and internet stuff and this is really annoying. A good site with exciting content, that is what I need. Thanks for making this website, and I'll be visiting again. Do you do newsletters by email? Hi there. I found your blog via Google at the same time as looking for a comparable matter, your website got here up. It looks great. I have bookmarked it in my google bookmarks to come back then. Awesome post. I am a regular visitor of your web site and appreciate you taking the time to maintain the excellent site. I'll be a regular visitor for a really long time. Hiya, I am really glad I've found this info. Today bloggers publish just about gossip and internet stuff and this is actually annoying. A good web site with interesting content, this is what I need. Thank you for making this site, and I will be visiting again. Do you do newsletters by email? Hiya, I am really glad I have found this information. Nowadays bloggers publish just about gossip and internet stuff and this is really irritating. A good site with exciting content, that is what I need. Thank you for making this website, and I'll be visiting again. Do you do newsletters by email? Hiya, I'm really glad I have found this information. Today bloggers publish only about gossip and web stuff and this is really irritating. A good blog with exciting content, this is what I need. Thanks for making this site, and I will be visiting again. Do you do newsletters by email? Hiya, I am really glad I have found this information. Today bloggers publish only about gossip and web stuff and this is actually frustrating. A good blog with exciting content, that is what I need. Thank you for making this website, and I will be visiting again. Do you do newsletters by email? Hey there. I found your blog by means of Google while looking for a related topic, your site came up. It looks good. I've bookmarked it in my google bookmarks to come back then. Hiya, I am really glad I have found this information. Today bloggers publish just about gossip and internet stuff and this is actually irritating. A good website with exciting content, this is what I need. Thanks for making this site, and I'll be visiting again. Do you do newsletters by email? Hiya, I am really glad I have found this info. Today bloggers publish just about gossip and net stuff and this is really irritating. A good web site with exciting content, that is what I need. Thank you for making this web site, and I'll be visiting again. Do you do newsletters by email? Hiya, I am really glad I have found this information. Today bloggers publish just about gossip and internet stuff and this is actually annoying. A good web site with interesting content, this is what I need. Thanks for making this web site, and I'll be visiting again. Do you do newsletters by email? Awesome write-up. I’m a regular visitor of your blog and appreciate you taking the time to maintain the nice site. I'll be a regular visitor for a long time. Awesome post. I am a regular visitor of your website and appreciate you taking the time to maintain the excellent site. I'll be a frequent visitor for a really long time. Hiya, I'm really glad I've found this information. Today bloggers publish only about gossip and web stuff and this is actually irritating. A good blog with interesting content, this is what I need. Thanks for making this website, and I'll be visiting again. Do you do newsletters by email? Hiya, I am really glad I've found this info. Today bloggers publish just about gossip and web stuff and this is really annoying. A good site with exciting content, that's what I need. Thank you for making this website, and I will be visiting again. Do you do newsletters by email? Hiya, I'm really glad I've found this info. Today bloggers publish only about gossip and net stuff and this is actually annoying. A good website with interesting content, that is what I need. Thank you for making this web-site, and I'll be visiting again. Do you do newsletters by email? Hello there. I found your blog via Google whilst looking for a similar matter, your web site came up. It seems to be good. I have bookmarked it in my google bookmarks to visit then. Hiya, I'm really glad I've found this info. Today bloggers publish only about gossip and net stuff and this is actually frustrating. A good web site with interesting content, this is what I need. Thank you for making this website, and I will be visiting again. Do you do newsletters by email? Hi there. I found your web site via Google whilst looking for a related matter, your web site came up. It looks great. I have bookmarked it in my google bookmarks to visit then. Hiya, I'm really glad I have found this information. Today bloggers publish just about gossip and web stuff and this is really annoying. A good web site with exciting content, this is what I need. Thank you for making this web site, and I will be visiting again. Do you do newsletters by email? Hiya, I'm really glad I've found this info. Nowadays bloggers publish just about gossip and net stuff and this is actually irritating. A good blog with interesting content, that's what I need. Thank you for making this website, and I will be visiting again. Do you do newsletters by email? Hello there. I found your blog via Google even as looking for a related subject, your web site got here up. It seems to be great. I've bookmarked it in my google bookmarks to come back then. Hi there. I found your site by the use of Google even as looking for a similar subject, your web site got here up. It appears great. I have bookmarked it in my google bookmarks to visit then. Awesome write-up. I’m a normal visitor of your web site and appreciate you taking the time to maintain the excellent site. I'll be a frequent visitor for a really long time. Awesome write-up. I’m a regular visitor of your web site and appreciate you taking the time to maintain the excellent site. I'll be a regular visitor for a really long time. Hiya, I'm really glad I have found this info. Today bloggers publish just about gossip and net stuff and this is really annoying. A good web site with exciting content, that is what I need. Thank you for making this web-site, and I will be visiting again. Do you do newsletters by email? Awesome post. I’m a regular visitor of your web site and appreciate you taking the time to maintain the nice site. I'll be a frequent visitor for a long time. Hiya, I'm really glad I have found this info. Nowadays bloggers publish only about gossip and web stuff and this is actually frustrating. A good blog with exciting content, this is what I need. Thanks for making this web site, and I'll be visiting again. Do you do newsletters by email? Awesome write-up. I am a regular visitor of your site and appreciate you taking the time to maintain the nice site. I'll be a frequent visitor for a long time. Hi there. I discovered your web site via Google even as looking for a similar subject, your web site came up. It seems great. I have bookmarked it in my google bookmarks to come back then. Hiya, I am really glad I've found this information. Today bloggers publish only about gossip and internet stuff and this is actually frustrating. A good web site with interesting content, that's what I need. Thanks for making this website, and I will be visiting again. Do you do newsletters by email? Hiya, I'm really glad I've found this information. Today bloggers publish just about gossip and internet stuff and this is really annoying. A good blog with exciting content, this is what I need. Thank you for making this web site, and I'll be visiting again. Do you do newsletters by email? Hiya, I am really glad I've found this info. Nowadays bloggers publish only about gossip and net stuff and this is actually annoying. A good site with exciting content, that's what I need. Thanks for making this site, and I'll be visiting again. Do you do newsletters by email? What i don't realize is in reality how you are no longer actually a lot more well-appreciated than you may be right now. You are so intelligent. You already know thus significantly on the subject of this matter, produced me individually consider it from so many numerous angles. Its like men and women don't seem to be involved except it is one thing to do with Girl gaga! Your individual stuffs excellent. All the time take care of it up! Hey there. I discovered your site via Google whilst searching for a comparable topic, your site came up. It seems good. I've bookmarked it in my google bookmarks to visit then. Hiya, I am really glad I've found this information. Nowadays bloggers publish just about gossip and web stuff and this is really frustrating. A good site with exciting content, this is what I need. Thank you for making this website, and I will be visiting again. Do you do newsletters by email? Hey there. I found your web site via Google whilst looking for a related matter, your web site got here up. It appears to be great. I've bookmarked it in my google bookmarks to come back then. Hi there. I discovered your website by the use of Google at the same time as looking for a comparable topic, your web site came up. It looks good. I have bookmarked it in my google bookmarks to come back then. Hiya, I'm really glad I've found this info. Today bloggers publish only about gossip and internet stuff and this is really irritating. A good website with exciting content, that is what I need. Thanks for making this website, and I'll be visiting again. Do you do newsletters by email? Hiya, I am really glad I have found this information. Nowadays bloggers publish only about gossip and net stuff and this is actually annoying. A good website with exciting content, that's what I need. Thank you for making this web site, and I'll be visiting again. Do you do newsletters by email? Hi there. I found your site by the use of Google at the same time as looking for a related matter, your website came up. It appears great. I've bookmarked it in my google bookmarks to come back then. Hi there. I discovered your website by way of Google at the same time as looking for a similar topic, your site got here up. It appears great. I have bookmarked it in my google bookmarks to visit then. LAbX0W You have noted very interesting points! ps decent site. Hiya, I'm really glad I've found this information. Nowadays bloggers publish only about gossip and net stuff and this is actually annoying. A good site with exciting content, that's what I need. Thanks for making this web site, and I'll be visiting again. Do you do newsletters by email? Hello there. I found your site by means of Google at the same time as looking for a comparable topic, your web site came up. It appears to be good. I have bookmarked it in my google bookmarks to visit then. Hiya, I'm really glad I've found this information. Today bloggers publish only about gossip and net stuff and this is actually frustrating. A good website with interesting content, that's what I need. Thanks for making this website, and I'll be visiting again. Do you do newsletters by email? Hi there. I found your site via Google whilst looking for a related topic, your web site came up. It looks good. I have bookmarked it in my google bookmarks to come back then. Hey there. I found your site by way of Google even as searching for a comparable topic, your website came up. It looks good. I've bookmarked it in my google bookmarks to come back then. Hiya, I am really glad I have found this info. Nowadays bloggers publish only about gossip and web stuff and this is really frustrating. A good website with exciting content, that's what I need. Thanks for making this web-site, and I will be visiting again. Do you do newsletters by email? Hiya, I am really glad I have found this information. Today bloggers publish just about gossip and internet stuff and this is really irritating. A good web site with interesting content, that's what I need. Thank you for making this website, and I will be visiting again. Do you do newsletters by email? Hi there. I found your site by means of Google at the same time as searching for a comparable matter, your web site came up. It seems great. I've bookmarked it in my google bookmarks to come back then. Hiya, I am really glad I have found this information. Nowadays bloggers publish only about gossip and net stuff and this is actually irritating. A good blog with interesting content, that's what I need. Thanks for making this web-site, and I'll be visiting again. Do you do newsletters by email? Hiya, I am really glad I have found this information. Nowadays bloggers publish just about gossip and net stuff and this is actually annoying. A good website with interesting content, this is what I need. Thank you for making this site, and I will be visiting again. Do you do newsletters by email? Hey there. I discovered your blog by the use of Google even as looking for a related topic, your web site came up. It appears to be good. I have bookmarked it in my google bookmarks to come back then. I am preparing to move to Australia completely. With any luck, my migration procedure will be completed this year and I will certainly relocate the start of 2011. Can a person recommend some exceptional sources as well as blogs regarding making the plans for resolving in Australia?. Hey there. I found your web site via Google even as looking for a similar subject, your site came up. It appears good. I have bookmarked it in my google bookmarks to visit then. Hiya, I am really glad I have found this information. Today bloggers publish only about gossip and internet stuff and this is really irritating. A good website with interesting content, that is what I need. Thanks for making this website, and I will be visiting again. Do you do newsletters by email? Hiya, I am really glad I've found this info. Today bloggers publish just about gossip and net stuff and this is really irritating. A good website with interesting content, this is what I need. Thank you for making this web site, and I'll be visiting again. Do you do newsletters by email? i need some suggestions for a blog site. i currently do poems as well as studies on it but i wan na talk about something. Awesome write-up. I’m a regular visitor of your web site and appreciate you taking the time to maintain the nice site. I'll be a frequent visitor for a really long time. Hello there. I found your website by means of Google while looking for a similar topic, your site got here up. It looks great. I've bookmarked it in my google bookmarks to visit then. Hiya, I am really glad I have found this information. Nowadays bloggers publish just about gossip and internet stuff and this is actually irritating. A good web site with exciting content, that's what I need. Thanks for making this web-site, and I will be visiting again. Do you do newsletters by email? Hiya, I'm really glad I've found this info. Today bloggers publish just about gossip and internet stuff and this is actually frustrating. A good web site with interesting content, that's what I need. Thanks for making this web site, and I'll be visiting again. Do you do newsletters by email? Hiya, I'm really glad I have found this info. Nowadays bloggers publish just about gossip and net stuff and this is really irritating. A good blog with interesting content, that is what I need. Thanks for making this website, and I will be visiting again. Do you do newsletters by email? Hiya, I'm really glad I have found this information. Nowadays bloggers publish just about gossip and web stuff and this is really irritating. A good blog with exciting content, that's what I need. Thanks for making this site, and I will be visiting again. Do you do newsletters by email? Hey there. I discovered your blog by means of Google even as looking for a similar topic, your website got here up. It appears good. I have bookmarked it in my google bookmarks to come back then. Hi there. I found your site by means of Google whilst looking for a similar topic, your website came up. It seems great. I've bookmarked it in my google bookmarks to visit then. Hiya, I'm really glad I have found this info. Today bloggers publish just about gossip and net stuff and this is really annoying. A good blog with exciting content, that is what I need. Thanks for making this web-site, and I will be visiting again. Do you do newsletters by email? Hiya, I am really glad I've found this info. Today bloggers publish just about gossip and internet stuff and this is really annoying. A good site with exciting content, this is what I need. Thank you for making this web-site, and I'll be visiting again. Do you do newsletters by email? Hey there. I found your site via Google even as searching for a similar matter, your web site came up. It seems great. I've bookmarked it in my google bookmarks to visit then. Hey there. I found your website via Google even as looking for a similar topic, your website got here up. It looks great. I have bookmarked it in my google bookmarks to visit then. Hiya, I am really glad I've found this information. Nowadays bloggers publish just about gossip and web stuff and this is really irritating. A good site with exciting content, that is what I need. Thank you for making this site, and I will be visiting again. Do you do newsletters by email? Hey there. I found your web site via Google while searching for a comparable matter, your website came up. It appears great. I have bookmarked it in my google bookmarks to come back then. Hiya, I'm really glad I've found this info. Today bloggers publish only about gossip and net stuff and this is really annoying. A good blog with exciting content, that is what I need. Thank you for making this site, and I'll be visiting again. Do you do newsletters by email? Hiya, I'm really glad I have found this info. Nowadays bloggers publish only about gossip and web stuff and this is really frustrating. A good site with exciting content, this is what I need. Thank you for making this website, and I'll be visiting again. Do you do newsletters by email? Hey there. I discovered your website by way of Google at the same time as looking for a similar subject, your web site came up. It looks good. I've bookmarked it in my google bookmarks to come back then. Hey there. I found your blog by the use of Google whilst looking for a comparable matter, your web site got here up. It appears good. I've bookmarked it in my google bookmarks to come back then. Hello there. I discovered your web site via Google whilst looking for a related matter, your site came up. It seems good. I've bookmarked it in my google bookmarks to visit then. Hey there. I found your web site via Google even as searching for a similar matter, your site came up. It looks great. I've bookmarked it in my google bookmarks to come back then. Hiya, I am really glad I've found this information. Nowadays bloggers publish just about gossip and net stuff and this is really irritating. A good blog with exciting content, that is what I need. Thank you for making this web-site, and I will be visiting again. Do you do newsletters by email? Hi there. I discovered your website by means of Google even as searching for a comparable subject, your web site got here up. It appears to be great. I have bookmarked it in my google bookmarks to come back then.